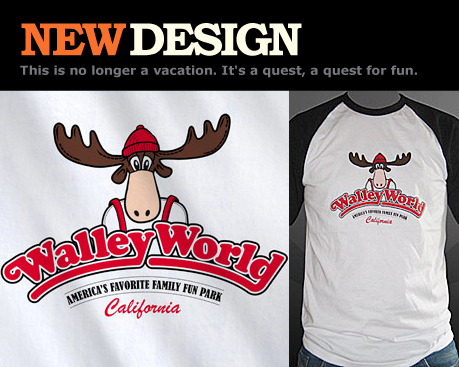 Hot off the press and new to the Last Exit to Nowhere range are these ‘Walley World’ T-shirts – inspired by the brilliant comedy road trip ‘National Lampoon’s Vacation’. 4 colour print on white baseball style T-shirts. A must for any Chevy Chase fan.